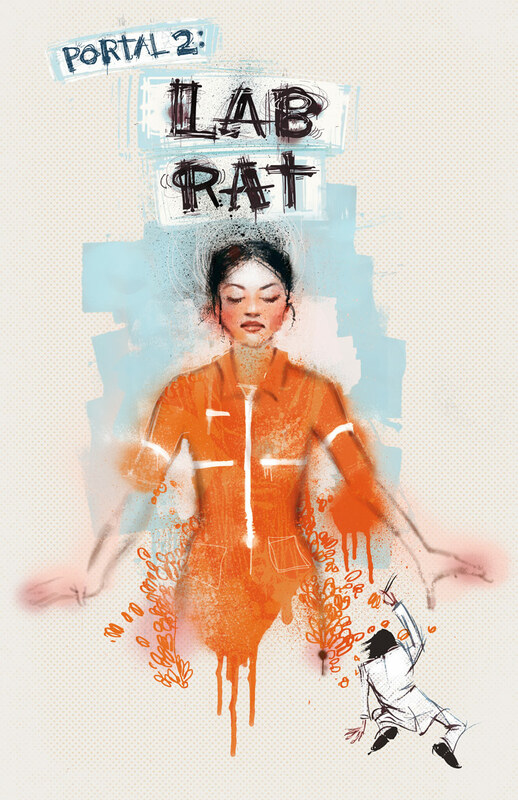 My latest PopMatters article is now live: Chell and Portal 2's Rat Man. My entire article is really about the single-player storyline of Portal 2 and the way the Lab Rat comic enhances Chell and the play experience. While I absolutely adore Chell's adventure, the glorious core of Portal 2 shines brightest in the cooperative campaign. I cannot stress enough how well Valve balanced the coop experience. The two-player testing chambers are far more than two sets of single-player puzzles joined together. They seldom feel contrived or hastily patched constructed. While playing, the solution nearly always seems to come as a result of two minds distorting their mind according to portal logic. In my experience, myself and my partner shared in the excitement of discovery equally. Most often we would come to one conclusion simultaneously or work separately at pieces of the puzzle, sharing our train of thought over voice chat until everything clicked. Frequently, we also swap plans of action. My partner would come up with one idea, and fail, then I would try mine, until we reached a breakthrough. Alternatively, one person would just "get it," laugh to themself maniacally, and then usher the second player through the experience. Even on these occasions, I never felt shepherded or useless. I would have to trust in my partner's actions and ruminate on its logic. To build a campaign in which two players can share in moments of ecstatic realization is a feat of wonder. Having built these sensations of awe and companionship, Valve then exploits them hilariously. The "rock, paper, scissors," while silly, is actually quite meaningful. Personally, if I lose a game of roshambo, I feel compelled to comply with my partner's demands - even if this means being her personal test subject, risking my roboting limbs in their misguided experiments. Half of the aforementioned plans were wrong, leading to some painful falls, bullet wounds, or spiked deaths. GLaDOS never fails to point out these mistakes in her attempt to divide players with ridicule. Instead, my companionship with my partner only grows stronger. With Portal 2, Valve has shown an expertise in shaping relationships and emotions in cooperative play. 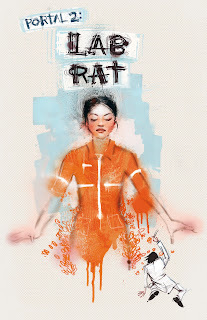 It almost makes me wish the Rat Man could have accompanied Chell. I never knew that testing could get so lonely.